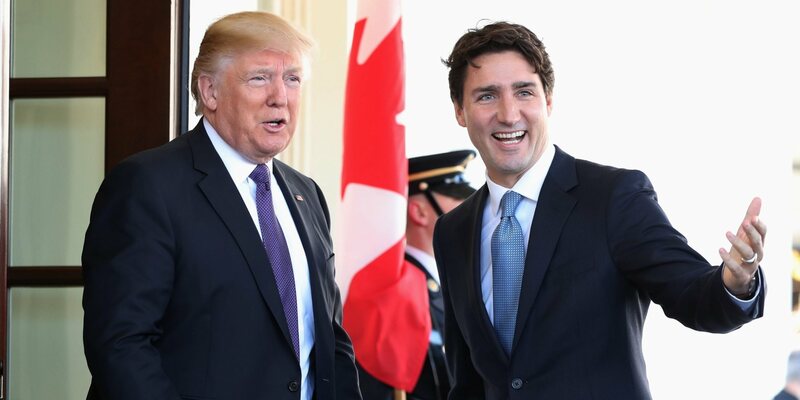 On Monday, Prime Minister Trudeau, an outspoken civil libertarian, made his way to the White House to formally meet President Trump for the first time. Although both politicians are considered polar-opposites in policy, economic ties between the two countries foreshadowed that their differences in ideology would be put aside for the sake of diplomacy. President Trump and Prime Minister Trudeau discussed a wide variety of issues, ranging from immigration to trade policy and the North American Free Trade Agreement (NAFTA). To conclude, they formally established a task force whose objective consists in promoting the advancement of women leadership in the workplace by creating an environment favourable for entrepreneurship and accessible to women in both countries. Formally known as The United States Canada Council for the Advancement of Women Business Leaders-Female Entrepreneur, the initiative was crafted by both Trump and Trudeau alongside women executives and Ivanka Trump. Expressed by their remarks was their mutual commitment towards empowering women through entrepreneurial opportunities. On trade policy, Trump concluded that he did not wish to see the two country’s trade relationship alter much as he is mostly satisfied with the current state of affairs. Rather, he announced that he simply intends on making minor adjustments to the current NAFTA agreements. However, it was left unclear what these changes would entail. Trump did clarify that when he had previously stated that he looked to change NAFTA significantly, he was referring to an alteration of terms with Mexico rather than Canada. Though both seem to get along for the most part, Trudeau was reluctant to agree with Trump that a restrictive immigration policy was necessary for national security purposes. The Canadian Prime Minister reaffirmed that he would continue to welcome refugees and promote an inclusive Canadian society. Ultimately, the leaders clashing views was not as painfully apparent as was anticipated. Rather, it seems as if the meeting was overshadowed by an array of internal difficulties facing the Trump administration, as well as the other notable visits from world leaders scheduled for the same week.